For bookings please call 01297 642011Call now! Causley Cabs is run by husband and wife team Neville and Sarah Causley. The couple have two grown up sons, Jake and Harvey. Both have a background in hospitality, successfully running the Hunters Lodge Inn which is situated between Axminster and Lyme Regis for 14 years. During their time at the pub they built up a reputation for providing an excellent service to their customers, both working tirelessly to improve the business to ensure everyone who stepped inside had a great experience. 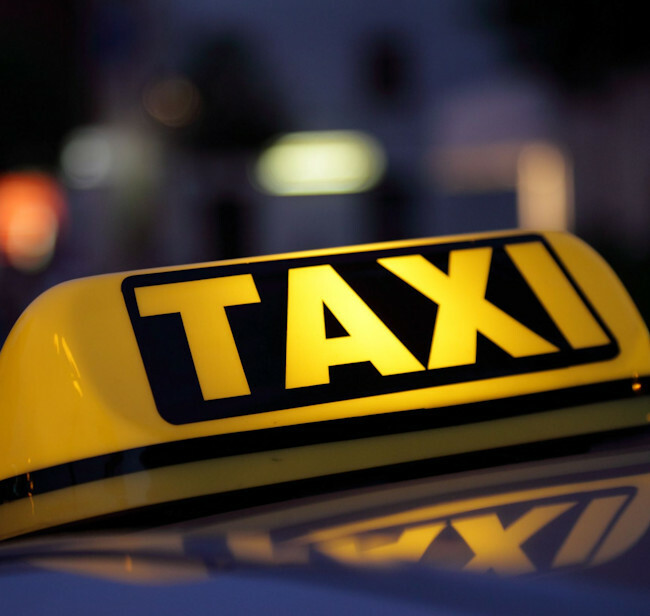 Their shared work ethic and desire to provide a superior service is the driving force behind their new taxi venture. They are focussed on providing local people and visitors to Lyme Regis, Charmouth, Axminster and surrounding areas with a reliable, professional and friendly taxi service. Their objective is to offer their customers totally transparent pricing while ensuring each and every person who gets into one of their cabs arrives at their destination on time and in comfort. Neville and Sarah are both active members of the local community. Neville was one of the longest serving members of the RNLI team at Lyme Regis, serving for over 25 years until his retirement in 2014. He organises the annual charity Santa sleigh, which tours the streets of Lyme Regis every Christmas, bringing much excitement to local children. Sarah has been producer/director of Lyme Regis Pantomime Society for a number of years, she is also a member of the musical theatre groups in both Lyme and Bridport. Sarah's love of dance inspired her to launch a local Fitsteps group, a ballroom and latin dance based fitness class which she runs in Lyme and Charmouth. When you book a cab through Causley Cabs you can rest assured that the people driving you to your destination will do their utmost to ensure your experience is positive. Whatever your requirements, Causley Cabs will provide the service to match.